With winter out of the way, it’s time to welcome Spring with soft pastels, bright prints and relaxed fabrics. It’s time to let your style relax and embrace the warmth and spring breeze the season brings. When it comes to your accessories, they too can be easy and laid back but that doesn’t mean they have to lack on the practicality department. A nice satchel in lovely pastel colors is the perfect touch to pair with lovely florals and to stash in it all your spring and summer essentials! Picture this: you walking around Central Park with your friends and dog, setting down a blanket for a quick picnic brunch, your camera in your hand, you pull out your sunnies from your satchel and your lovely sun dress flowing in the sping breeze. How perfect is that? Pair your satchel with lace, chiffon, denim, geo prints, and tropical themes! 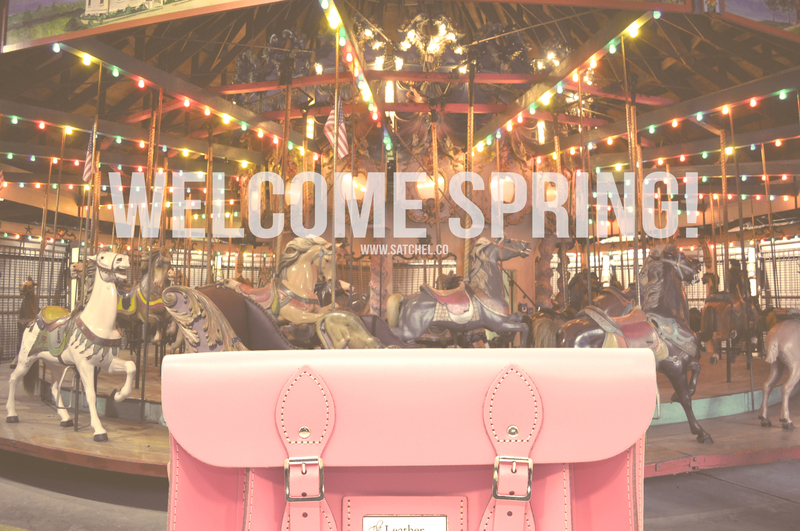 Hop on your bike and swing your satchel on your back and smile at the lovely spring sunshine! Feel lovelier than the flowers sprinkled around the green grass and say, Hello Spring! Check out our range of pastel satchels! Baby Pink, Baby Blue, Bellflower Purple, Snow White and Cockatoo Blue! These soft colors transition from spring to summer with ease and can only be found at www.satchel.co!